Have you always wanted to scuba dive with a manta ray? These gentle filter feeders, famous for their curious encounters with humans, make for an exciting highlight for many liveaboard diving itineraries. Whether you observe dramatic feeding or a serene visit to a cleaning station, a swim with these underwater acrobats is sure to capture your imagination. In this article, we’ll walk you through the best liveaboard destinations for diving with manta rays. 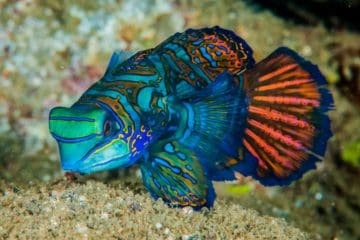 Even the most experienced scuba divers find themselves captivated by the grace, beauty, and intelligence of these highly social animals. Read on for our top tips on where you can watch these majestic creatures flip, jump, and dance their way through the water, as a part of your liveaboard dive vacation. The largest of the islands in Mexico’s Revillagigedo Archipelago, Socorro, is a destination synonymous with manta ray sightings. In fact, dive professionals in the area believe that the giant oceanic mantas of Socorro are the friendliest in the world. They have adapted unique behavior with scuba divers and come within feet of dive groups. Only accessible by liveaboard, Socorro is an exclusive location and visitors can expect one-on-one encounters with these large pelagics. Thanks to their open ocean surroundings, these islands are home to a variety of marine megafauna, other than the mantas. Many species of sharks, whales, and dolphins cruise out in the blue and patrol the island’s volcanic ledges. From January through April, humpback whales visit these waters to breed and calf. Later in the season, hammerheads and reef sharks congregate in great numbers to enjoy the warmer water. Strong currents, cold water, and a remote location make Socorro a liveaboard destination best suited for experienced divers only. Snorkeling and other activities for non-divers are generally unavailable. Liveaboard diving in the Galápagos Islands is considered the trip of a lifetime by many scuba divers. With some of the most diverse underwater wildlife in the world, it’s easy to understand why. In addition to manta rays, liveaboard divers in the Galápagos encounter whale sharks, penguins, silky sharks, hammerheads and even marine iguanas. The best sites in the archipelago are only reachable by liveaboard, and strict limitations keep the hot spots uncrowded. Most liveaboard itineraries in the Galápagos plan to visit the plunging wall of Cabo Marshall. Underwater, groups of divers drift along with the powerful current and passively enjoy the company of the rays. While encounters are never guaranteed, this remote dive site delivers mantas on nearly every immersion. This drop off is also one of the few places in the world that giant manta rays have been observed breaching, or leaping out of the water. Powerful currents and rough surface conditions can make diving in the Galápagos difficult. An advanced open water certification level and experience in cold water and currents are recommended. The Hawaiian Islands are home to some of the most spectacular scuba diving on planet earth, perfect for a liveaboard safari. The region’s shallow reefs and lava flows are home to countless colorful reef fish, turtles, eels and plenty of macro life. During fall months, divers may even spot migrating humpback whales. But, Kona’s most exciting underwater attraction is night diving with manta rays. Throughout Hawaii, your chances are good for spotting a manta by day. However, encounters during Kona’s famous manta night dives are almost a sure thing. The Kona Aggressor II is the area’s only liveaboard, and all of her itineraries feature these dives. During these immersions, the dive group indirectly feeds the rays. Dive lights attract plankton to the group, and in turn resident reef mantas arrive in great numbers to feed. Lucky divers may even observe a feeding tornado. Dives in this region are suitable for beginners with some experience in night diving. Also, thanks to the shallow water and lava formed topography this is an excellent destination for snorkelers and non-divers as well. The Similan Islands showcase a variety of Thailand’s best diving, making the region perfect for a liveaboard trip. Visibility throughout the islands is excellent, making this destination a top choice for underwater photographers. Macro enthusiasts can find plenty of pipefish, nudibranchs, seahorses, and frogfish hidden in plain sight on the reef and rubble bottom. Large pelagics also frequent this protected marine area. Favorite finds include sea turtles, reef sharks, whale sharks, and of course manta rays. Koh Bon is the area’s resident manta hotspot. On the southwestern side of the island, large groups of reef mantas patrol the steep walls. These dive sites make perfect lookout points, and plenty of other big stuff passes out in the blue. Later in the season, large plankton blooms attract a separate population of migrating oceanic mantas to feed. They spend their days alternating between eating in open water and relaxing on the reef’s cleaning stations. The Koh Tachai pinnacle is the most common place to spot these visitors and makes an excellent dive site for photography. The Similan Islands enjoy calm conditions throughout the season, making them perfect for new divers. Short itineraries in the park are an excellent choice for your very first liveaboard dive trip. Best known for its resident dragons, the Komodo National Park is a dream destination for liveaboard diving. 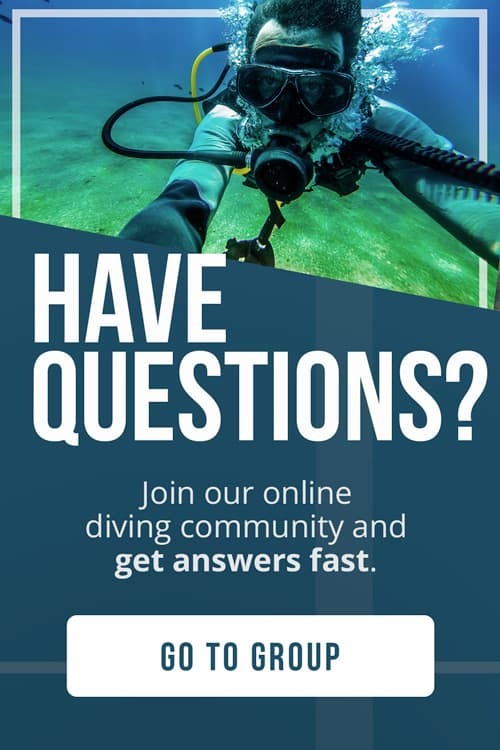 With over 40 dive sites to explore, the more time you have here, the better. Thanks to its location in the Coral Triangle, Komodo is home to stunning biodiversity. A diver’s Mecca, this protected marine environment is a great place to see sharks and rays, and especially mantas. On most liveaboard trips in the region, you will have a chance to snorkel and scuba dive with manta rays. Here, these graceful creatures alternate their time between filter feeding in the powerful current and relaxing on the park’s many pinnacles. 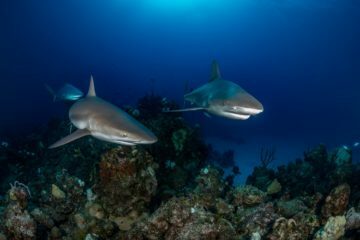 These outcroppings also attract whitetip and gray reef sharks, eagle rays, and dogtooth tuna. Plunging wall dives are another great place to spot mantas out in the blue, and the walls themselves host a variety of macro species. The conditions in Komodo can be challenging with strong, changing, and unexpected currents. Only divers with an advanced certification and experience drift diving should plan a liveaboard trip in this region. Komodo is also an excellent destination for sailing in a traditional wooden Pinisi sailboat. Made up of over 3,000 individual reef ecosystems, The Great Barrier Reef is home to a staggering variety of life. The southernmost region, and Lady Elliot Island make perfect liveaboard diving destinations for those hoping to encounter manta rays. In fact, the scuba diver’s nickname for Lady Elliot Island is the “Home of the Manta Ray.” While it is possible to snorkel with these gentle pelagics, your best opportunity for a close encounter will be below the surface. A resident population of manta rays is found in this area year-round, but even greater numbers congregate during Australia’s winter months. 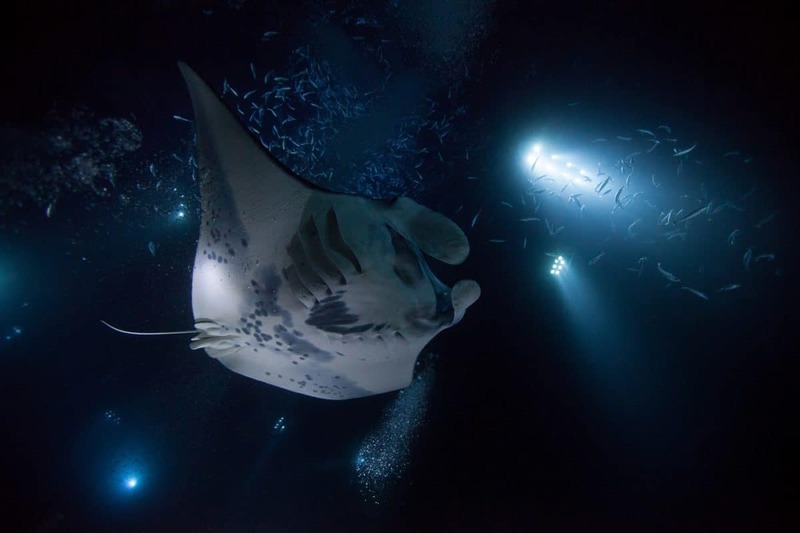 Scientists have identified over 100 individual rays migrating in the region, some of which are well known among dive professionals in the area. Thanks to shallow water, good visibility and mild currents, the Great Barrier Reef is one of planet earth’s top liveaboard dive destinations for a swim with these fascinating creatures. Australian liveaboards offer a variety of amenities, and some boats specialize in over the top luxury. Keep your goals for the trip in mind when booking, and decide up front whether you prefer a longer itinerary or a few more creature comforts. Liveaboard divers in Micronesia have a once in a lifetime chance to watch the underwater ballet of mating manta rays. While visibility can be quite poor in the Mi’il Channel, these unique encounters make it all worthwhile. Here, the rays come within a few feet of divers while performing their coupling rituals. Groups of mating rays are spotted from the surface, and these immersions are often quite shallow. Manta Ridge is the most visited site in the channel, with almost guaranteed sightings during the season. For more information, check out this article on sexual selection from Manta Trust. If you can’t make it for the mating season, The remote waters of Micronesia are still a great place to dive with manta rays. Well-known cleaning stations attract large numbers of migrating pelagics, mantas included. As a bonus, more than 60 ships and 200 planes sunk in the area during World War II. Due to currents, surge, and rough surface conditions, liveaboard trips in Micronesia are best for advanced divers. Additionally, a wreck specialty certification will help you to make the most of your time underwater and allow you to penetrate some vessels in the Ghost Fleet. The mother of all tropical getaways and soft coral capital of the world, Fiji is a dream liveaboard diving destination. Remote, isolated, and biodiverse, these waters are famous for intimate encounters with sharks and rays. 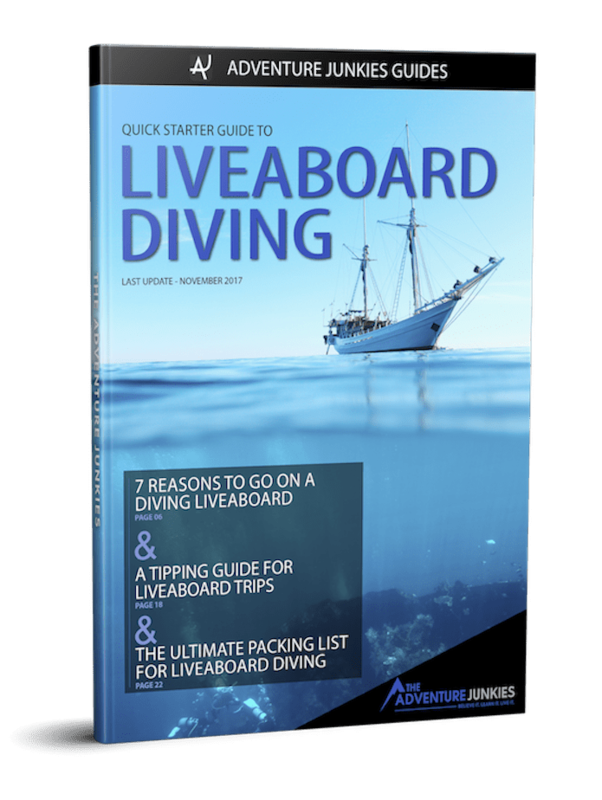 iveaboard diving can take you to the most far flung islands in the region, upping your chances for a swim with these larger species. The Kadavu islands, in particular, make a great addition to your itinerary. Some of the most pristine dive sites in Fiji lie southwest of Kadavu. This area is well known for its protected bays, offering a nearly guaranteed swim with manta rays feeding on the surface. During the peak of their season, the population of mantas around these islands can increase to as much as 300. Nearby cleaning stations are often packed with patient rays waiting their turn for a scrub down. 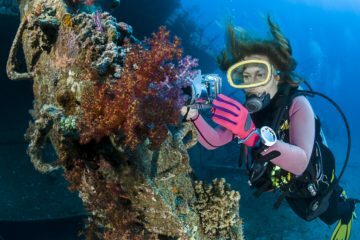 These dive sites are top picks for underwater photographers, as they provide plenty of time to get the perfect shot. Fiji is as incredible a destination above water as below. All liveaboards operating in this region offer luxury accommodations, guided shore excursions, and top of the line dive facilities. Surrounded by the turquoise waters of the Indian Ocean, the Maldives are a liveaboard diver’s paradise. One of the best places in the world for swimming with manta rays, the Ari Atoll is also home to a large population of whale sharks. This cluster of islands is one of the most visited parts of the Maldives and offers a variety of dive sites including pinnacles, deep channels, and cleaning stations. The most popular place in the Ari Atoll to dive with the mantas is Ukulhas Thila. The top of this massive pinnacle serves as a cleaning station for passing pelagics taking a break from the region’s strong currents. This area is known for challenging conditions, appropriate for advanced divers with experience in fast moving water. The nearby Fesdu Lagoon is a great place to night dive with the rays, and even observe their rare feeding cyclone behavior. Many northern atoll or “best of the Maldives” itineraries combine the Ari islands with a trip to the Baa Atoll. There, Hanifaru Bay is another outstanding place to swim, snorkel, and dive with these gentle giants as they feed. The Maldives is a destination synonymous with luxury. With amenities like made to order meals, on deck hot tubs, and free alcohol, it can be hard to know what boat is best. Consider which perks you will take advantage of when booking, and keep a firm budget in mind. In recent years, Palau has started generating a reputation for incredible encounters with manta rays in the German Channel. This dive site features a large man made channel cutting through a sheltered reef. These shallows are home to large populations of wrasse and butterfly fish, creating a popular cleaning station. Divers can relax and enjoy the show in about 50 feet (15 meters) of water, with a break from the current. Virtually every liveaboard in Palau visits this site thanks to its nearly guaranteed sightings of mantas and gray reef sharks. Besides these famous manta ray encounters, Palau offers spectacular diving all around. WWII wrecks, a thriving coral reef system, and a Jellyfish Lake make Palau an exciting liveaboard destination. Many sites, like Blue Corner, expose dive groups to strong Pacific currents and require the use of a reef hook. In general, a liveaboard in Palau will be best enjoyed by experienced divers. Palau is a remote and exclusive liveaboard destination with few options for budget travelers. Visitors can expect world class accommodation on whatever boat they choose, and a price tag to match.